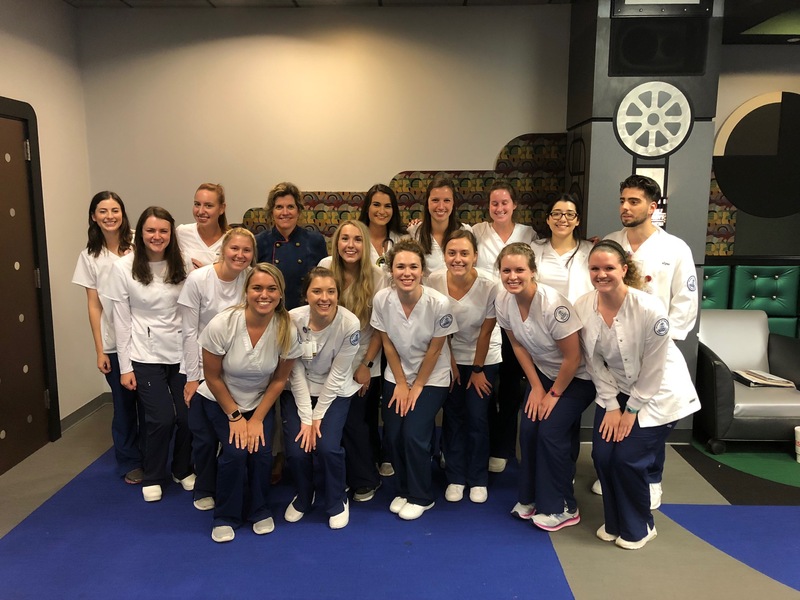 A group of 16 Belmont nursing students have spent the past seven weeks participating in the Vanderbilt Experience: Student Nurse Internship Program (VESNIP) alongside students from four other regional nursing programs. Two Belmont students were awarded the highest honors at the culminating awards ceremony held today, Wednesday June 27. The Credo Award, recognizing Vanderbilt’s credo behaviors, is given to students that aspire to excellence and expert performance by making those they serve their highest priority, conducting themselves professionally, respecting others’ confidentiality, communicating effectively, having a sense of ownership and demonstrating a commitment to colleagues. Chloe Sliman, a Belmont-Trevecca Nazarene University partnership student received the Credo Award in Acute Care Track. The Florence Nightingale Award, given to Belmont’s Maddie Blakeney, is the program’s highest honor and is given in recognition of excellence in all areas. This award is based on feedback from nurse preceptors, nurse educators and the entire health care team at Vanderbilt Psychiatric Hospital. Now in its 14th year, the VESNIP Program began as a partnership between Belmont School of Nursing and Vanderbilt University Medical Center. It has now expanded to more than 60 students from four area nursing schools. Positions are very competitive and are considered elite opportunities for students from around the region.